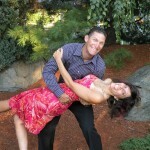 As I look back over 2011, it has been a pretty darn amazing year. 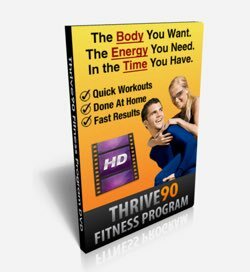 Not only did I reach my goals of six-pack abs using core workout equipment, but many folks reached their fitness goals with our Thrive90 Fitness Program. It is always awesome to see folks feel great about what they accomplished and get that “special” once over from their spouse. Good stuff for sure. Even with all of the success, there is one question we continue to receive from the Fit Marriage community time and time again. This is a common question from busy parents as they want to be able to keep up with their kids, look awesome for their spouse and enjoy many other activities. Below are the best pieces of core workout equipment that you can use to tighten your abs, strengthen your low back and give you the balance and stability you need to keep up with all the good things going on in your busy life! 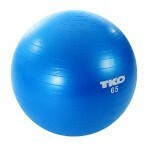 If there is only one piece of equipment you can get, the stability ball should be it. The stability ball is very versatile and will work every area of your body. 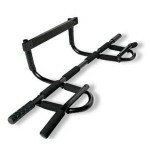 Using one will help to strengthen your core and back as well as increase your balance and coordination. If you sit all day, check out the stability ball chair. Make sure to choose the proper size ball based on your height. You’re not going to find a pull-up bar on any other core workout equipment lists out there, but this piece of equipment is so great to building lower body strength. You don’t have to do a pull-up – hanging from the bar and raising your legs will help strengthen those core and back muscles like no other move. The use of a foam roller will help develop balance, postural alignment and flexibility on its own – or you can use it as support for core strength exercises. 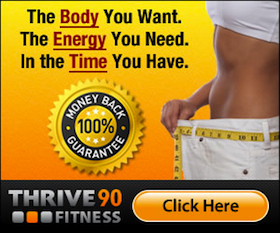 It will also allow you to massage and warm-up your muscles before you start your at-home exercise program. Instability resistance training is what the Indo Board is all about. 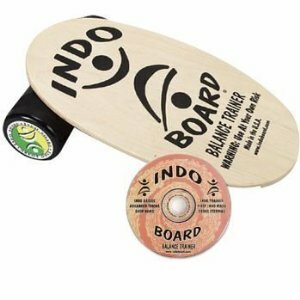 Using the Indo Board will make you concentrate on all aspects of your balance and core. It is fun and challenging for everyone from the beginner to the advanced athlete. 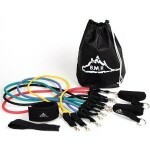 Resistance Bands are a great way to add resistance training to your core workouts without taking up a lot of space. Many core exercises can be made more difficult with the addition of these rubber bands, which will help you to build strength in your abs and back. These can also be stored in a small bag and put in a closet for easy storage. Fitness fads will come and go, but one thing is for sure – a strong core will allow you to be mobile and active for many years to come. Pick one of these core workout equipment items for your at-home exercise program and see the difference it makes in the new year.